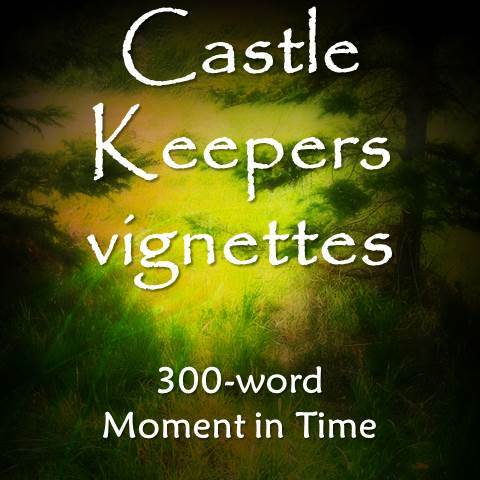 Movement on the outer wall walkway caught his attention: Lord Val was strolling, gazing into the forest. He wore only his regular clothing, leaving his robe behind as he ventured on his morning walk. Something peculiar in the manner the lord walked made Laird think he was ill. The usual lively steps had been replaced with a slow moping movement. Perhaps his night had been late and he had dealt with castle business. Laird hoped he hadn’t missed anything important. The activity in the guardhouse appeared normal as he passed through on his way to his chamber. Surely if something was amiss he would have been informed immediately. He returned his attention to Lord Val who sluggishly made his way towards the towers near the front gate. Laird respected the man, but disagreed with his logic on many days. Perhaps their differences were rooted in race. It was the obvious answer, but was it the truth? Other elves did not ignite an urgent feeling in his gut; why did this man?